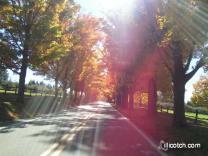 My wife Nancy and I took a drive through the PA Laurel Highlands to see the fall foliage. It was a beautiful afternoon almost 80°. We hope that you will enjoy the view.